In terms of their stickiness, even the best batting gloves do not last more than a few months. Most parents, including us, refuse to drop a few dozen dollars on batting gloves several different times throughout the season. One trick we have learned is the use of pine tar substitute, often referred to as Bat wax or a Mota Stick. These not only look cool, but the non-petroleum base is not messy and does not stain uniforms. They increase the stickiness of any kind of grip. 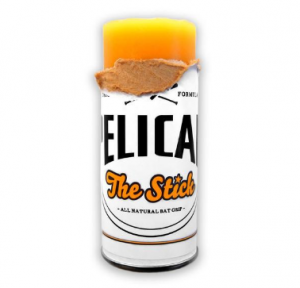 The Pelican Bat Wax version is our favorite as it works in the coldest of weather and doesn’t melt when things get hot. Price check Pelican Bat Wax on Amazon. The Pelican Bat Wax site often also has deals. In terms of their stickiness, even the best batting gloves do not last more than a few months. Most parents, including us, refuse to drop a few dozen dollars on batting gloves several different times throughout the season. One trick we have learned is the use of pine tar substitute, often referred to as Bat wax or a Mota Stick. These not only look cool, but the non-petroleum base is not messy and does not stain uniforms. They increase the stickiness of any kind of grip. 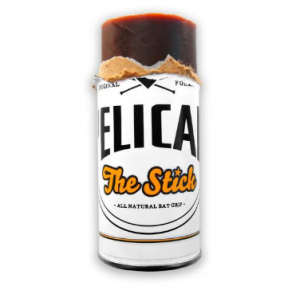 The Pelican Bat Wax version is our favorite as it works in the coldest of weather and doesn't melt when things get hot. From the 30,000 foot overview, Pine Tar substitute sticks, correctly referred to as Bat Wax, are better than pine tar. 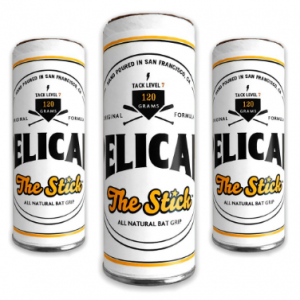 Among those bat wax sticks, and there are at least a few, Pelican’s The Stick is our favorite. We break down the reasoning in the following two sections. 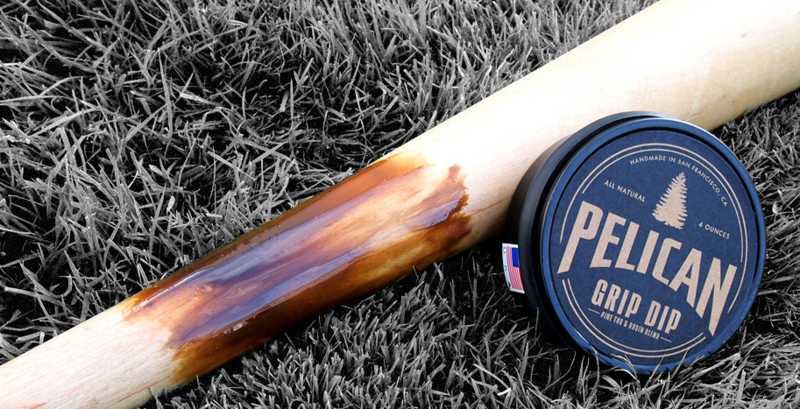 Much to the chagrin of George Brett, traditional Pine Tar has gone the way of the dinosaur. Even most Big Leaguers these days, find the stuff too unruly to use. Traditional liquid pine tar ends up in your hair, on your jersey and in your life for hours and days after you use it. Sure, there is nothing like a pine tar stain on your shoulder that says you are willing to take a fastball in the nether regions to get on base, but in the bling of the current game, the need for the insatiably sticky substance is nearly obsolete—especially considering there are legitimate substitutes. Those substitutes, namely a bat wax that sits in a solidified stick form and can be rubbed on the handle of the bat pre use, remove the ever present sticky problems of pine tar while keeping its benefits. Bat wax is remarkably sticky, yet does not transfer to clothing material well. Bat wax, if made right, is not a petroleum, so will not stain. Also, if done right, it is not effected much by changes in weather. Most MLB hitters use some form of a bat wax instead of the traditional pine tar. You can see them in on deck circles rubbing a stick on the handle of their bats. The number of pine tar users is diminishing by the season. In terms of real competition, the Manny Mota bat wax stick is the most reasonable competitor. It is, after all, the stick most MLB teams end up using. We think this is more due to habit and distribution than an actual evaluation of the product, but the fact of their popularity remains the same. The most reasonable reason we prefer Pelican’s stick over Manny’s is the natural color option. Lighter color handles and the use of white batting gloves make the non-pine-tar color only found in Pelican’s Stick desirable. 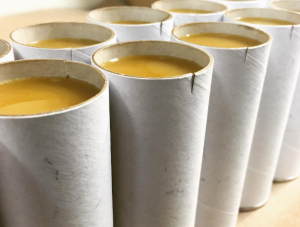 As well, the all natural ingredients in the Pelican bat wax is a comforting thought considering we are putting this stuff on our hands. Throw in the fact it is hand poured in the USA, and we officially have our selves a winner. We referenced a number of sources to put together this article. Pelican Bat wax’s website was very helpful as was Amazon’s product page. Some useful information could also be found on Manny Mota’s Amazon’s product page as well as the Tiger Stick. We also found the write up on probaseballinsder.com about the best pine tar helpful. They appear to agree on the Pelican bat wax’s ability to hold true on cold and hot weather days. 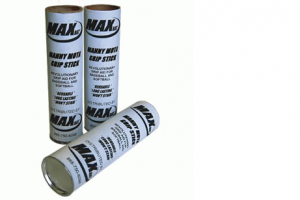 In terms of market presence, there are two bat wax sticks many consider. Tiger sticks is the oldest brand of the bunch. It does work in a good range of temperatures shifts and is sticky, like the others. The Red color of Tiger sticks has been known to discolor some uniforms and batting gloves. The Manny Mota stick is likely the second most popular bat wax stick on the market. In MLB clubhouses, it is likely the most popular. In fact, some refer to Bat Wax sticks as “Mota Stick”. The brand name, in many circles, has become the product name. These work well and it is much like Pelican in terms of its stickiness, longevity and usefulness in hot and cold weathers. 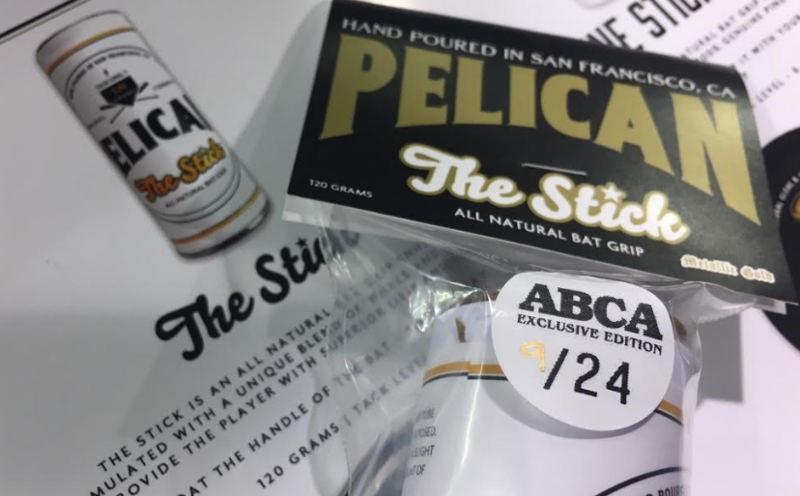 We like that Pelican comes in different colors, rather than the single pine tar brown option of the Mota Sticks. The brown shoulder and ruined jersey from pine tar resin is a scene from throwback 1980’s baseball movies. Today, pine tar sticks, sometimes called Mota Sticks after a brand name Manny Mota, are designed for focused applications on bats, and almost magically, slough off batting gloves and material easy enough when it dries. The obvious use of a bat wax stick is the handle of a wood bat. Traditionally, bat wax (or pine tar) use improves grip and gives confidence in a swing meant to take you out of your shoes. Adding it to a wood bat makes sense. In fact, many MLB players who also use batting gloves still use a bat wax stick. We would recommend it the same. Additionally, our little league and travel ball players use the Pelican bat wax stick on their metal bat grips with their batting gloves. The wax eventually hardens and can be easily scraped off with your thumb. The addition of a sticky, yet non-messy, substance on the batting grip of a little leaguer lengthens the life of batting gloves and gives them, in some instances, more confidence to swing hard at the plate. One of the best features of bat wax is that after it dries, it scrapes right off the bat. A plastic spoon might do the trick, but so would your thumb nail. Most, we would guess, don’t clean the bat wax off, but instead, just add more bat wax to the dried bat wax already on the bat handle. A few companies make pine tar cleaning solutions. We don’t recommend the use of pine tar and, as such, have no need for pine tar cleaners.